A great number of our Boston mesothelioma attorneys‘ clients are those who have actually been diagnosed with the disease or surviving spouses and/or children. However, it’s worth noting that these are not the only parties that may be entitled to financial compensation from companies which were careless and negligent in their manufacturing and distribution of asbestos products. In Michigan State University, et al v. Abestos Settlement Trust, recently decided by the U.S. Court of Appeals for the Eleventh Circuit, a number of universities and colleges took action against a trust established through the bankruptcy of Celotex Corporation. This was a company that distributed roofing and building products for residential and commercial use. It was a Delaware-based firm founded back in 1994, and Carey Canada, which was a wholly-owned Celotex subsidiary, used to mine, mill and process asbestos fiber for use in the products distributed by Celotex. In late 1990, both companies filed for a Chapter 11 reorganization bankruptcy, partially as a result of increasing asbestos and mesothelioma litigation. As a result, they did what many companies in this situation do, which is to fund an asbestos litigation trust. The purpose of the trust is to process, liquidate and pay out all asbestos personal injury claims that arise as a result of exposure to the company’s products. It’s a measure that allows the company to continue operating, which allows it to continue to fulfill its obligation to future victims of its negligence. After the establishment of this trust, several higher education institutions sought relief from the trust, as a number of their campus structures had been built with the cancer-causing material. The cost of renovation was going to be quite expensive. The colleges included: Michigan State University, The University of Cincinnati, Rochester Institute of Technology, Claremont McKenna College, Prince George’s College and Fairfield University. Initially, the trust denied the colleges’ claims, on the basis that it did not satisfy the legal prerequisites for payment. Basically, these were not personal injury victims. However, the colleges didn’t give up. They filed an adversary proceeding through the bankruptcy court, seeking declaratory relief. 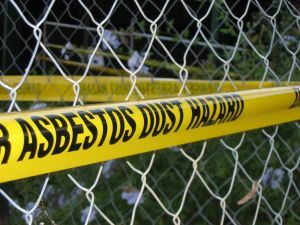 The case dragged on for a number of years, but it wasn’t until another court ruling – Asbestos Settlement Trust v. City of New York (In re Celotax Corp.) that the Trust changed its stance and agreed to pay the colleges. That ruling indicated that property owners who had suffered property damage as a result of asbestos negligence could seek relief from the Trust.